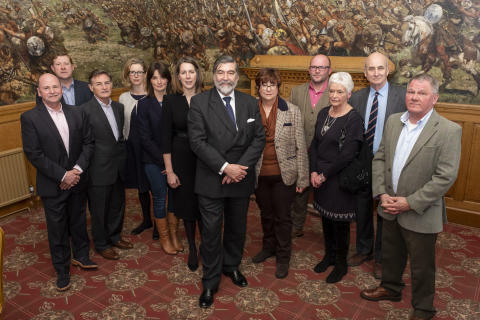 VisitScotland Chairman John Thurso and members of the national tourism organisation’s Board met in Peebles earlier this week (Thursday 26th April) to meet representatives of the local tourism industry. As part of the Engagement Strategy of the VisitScotland Board, the meeting at Peebles Hydro is one in a series which will be held across the country this year. The tour allows the Chairman and the Board members to hear directly from industry stakeholders in order to gain a better understanding of both positive developments in the region, as well as challenges facing the industry. The round table meeting and lunch was attended by representatives from across the sector, including: Vicki Steel from Aikwood Tower; James Walker from Eyemouth Harbour Trust; Barbara Elbourn from Dalkeith House; Ally McGrath from Osso; Alan Grierson from Bisley at Braidwood; Rosamund de la Hey from Mainstreet Trading and Alastair Cunningham from Scottish Clans and Castles. 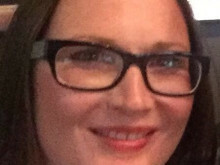 Also in attendance was VisitScotland Regional Leadership Director Paula Ward. The region’s successful year at the Scottish Thistle Awards was also recognised with winner of the coveted National Most Hospitable B&B Award, Malcolm Mullarkey from Kingsmuir House Hotel, in attendance at the discussions. He was joined by Regional Finalist Carol Ann Houghton from Airhouses, Oxton, and John Matthews from Windlestraw, Peebles. A total of seven tourism businesses across the Scottish Borders received prizes at this year’s Scottish Thistle Awards regional finals, with Kingsmuir House going onto win the coveted National award in March. Paula Ward, Regional Leadership Director added: “I was delighted that such broad representation from the local tourism industry took the opportunity to come together to meet with the VisitScotland Board on their recent visit to the Scottish Borders. “The Board’s visit to the region comes at an important time for tourism in the region with the creation of the South of Scotland Economic Partnership and the commitment through the Programme for Government to promote the south of Scotland as a must-visit destination for coastal, cycling and forest tourism activities.